In Northeast Indiana’s world of golf, it may be hard to imagine many downers, especially with the success of three straight Hotel Fitness Championships and the worldwide coverage Fort Wayne received from 2013 through 2015. But our golf world endures the same challenges as the people who play the game: weather, injuries, not enough time to play and the realities of aging. It’s as if golf itself has a handicap, same as the individual players. Proficiency in golf is measured by individual handicap. A scratch golfer is pretty much always playing at par or better. Handicaps of 1-5 are excellent numbers for a golfer as well. From there, handicaps run up and beyond 18, which provides -1 stroke on all 18 holes. While these measurements are based on individual play, the golf industry has had to endure a few handicaps itself for a number of years now. When taken as a whole, the industry has seen less play in general. Weather has often punctuated the drop in play with flood waters and tree-toppling winds. While the trend in the 1990s was to build, build, build, eventually there were too many courses and not enough players. 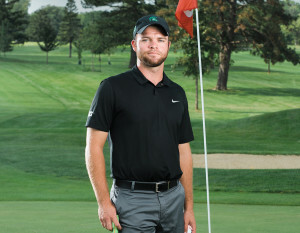 Sitting in the pro shop at Shoaff Park, Rick Hemsoth, PGA pro and manager of golf operations for Fort Wayne Parks and Recreation, shared his own ups and downs, including a weary tale of how weather had affected the city park courses. Last year’s summer storms and flooding overwhelmed Foster, resulting in the city closing it down June 22. “Our revenue stream for last June and July was down 27 percent,” Hemsoth said. “Foster lost 32 trees, and we lost a combined 15 at McMillen and Shoaff. “No one wanted to play, and not many people came out to the courses,” he said. City crews cleaned up debris, and as river water receded, greens and fairways were reseeded and were growing well. Hemsoth went on to say he hoped by Sept. 25, Foster would be re-opened to the public. It was, but at a high cost. In an article last September in The Journal Gazette, Fort Wayne Parks and Recreation Director Al Moll said, “Repairs to the course cost about $100,000.” Fifty thousand was for the reseeding and fertilizer and did not include costs for removing damaged trees. In addition to the renovation costs, Moll said, closing the course for almost three months resulted in a loss of $150,000 in revenue. Deer Track owner and head pro Doug Booth didn’t undergo the weather issues that walloped Foster last summer. What he experienced was lost revenue – so much so that the original 18-hole course, built in 1990 and about six miles north of Fort Wayne, was reduced to nine in 2012. He cited a variety of things that led him and two partners to keep the original front nine and let the original back nine become the Deer Hollow housing addition. “The number of rounds in the U.S. has declined, and it hit us just as hard,” Booth said. Not wanting to pin fault on any one generation, a Wall Street Journal article in July 2014 reported the number of golf rounds in the U.S. fell for the fifth straight year and Millennial golf declined 13 percent from 2009-2013. “Corporate golf and outings have declined dramatically. Business deductions such as being able to deduct for client golf outings have significant restrictions, so that has caused anyone thinking about corporate outings to think twice,” Booth said. Bridgewater Golf Course in Auburn originally had two 18-hole courses, East and West. The owners underwent some of the same issues Booth described, and the number of rounds did not sustain both the East and West courses. New owners came along and purchased the approximately 120 acres of the West course and are developing a public park space called Greenhurst Commons. The obstacles faced across the golfing U.S.A., and in particular Northeast Indiana, have a common thread: bad weather, declining numbers, too many courses, not enough players and rising costs. Mowing equipment, fertilizer and other maintenance costs have continued to rise as play has gone down. While private clubs are usually better funded thanks to memberships and fees, public courses do have some memberships to help the bottom line, but the daily number of players and the rounds they play remain the best source of revenue. Even while spending more dollars to operate, area course fees have been stable or even declined. It was not uncommon last year to find area courses advertising 18 holes with cart from $18 (online coupon) to $29. Area averages would be around $40 and depend upon the course you play. While many woes plague the golf course industry as a whole, not every course is suffering. Out at Coyote Creek, a private course on Fort Wayne’s northwest side, Bill Blumenherst was more or less ecstatic about how things have gone. “The shareholders and board have worked hard to invest, even in tough times, and we have seen four straight years of growth,” he said. “Having a positive attitude led us to improve the overall facilities, create a new short game area, new putting green and totally remodel the clubhouse. “We have seen a great deal of working together and collaborating on how to improve and continue to grow,” Blumenherst said. Fort Wayne is not stagnant when it comes to encouraging new players. Last July, the Fort Wayne Parks & Recreation Department completed its 18th year of the Lifetime Sports Academy program. The Academy offers three sports: golf, tennis and swimming. 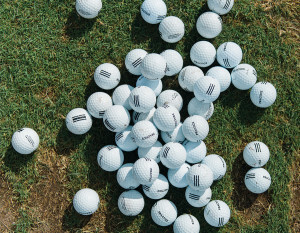 According to a press release from last July, 1,800 golf lessons were given to youth last year. Some players even earned their own set of clubs, which brought the total number awarded over the 18 years to almost 1,250 sets. 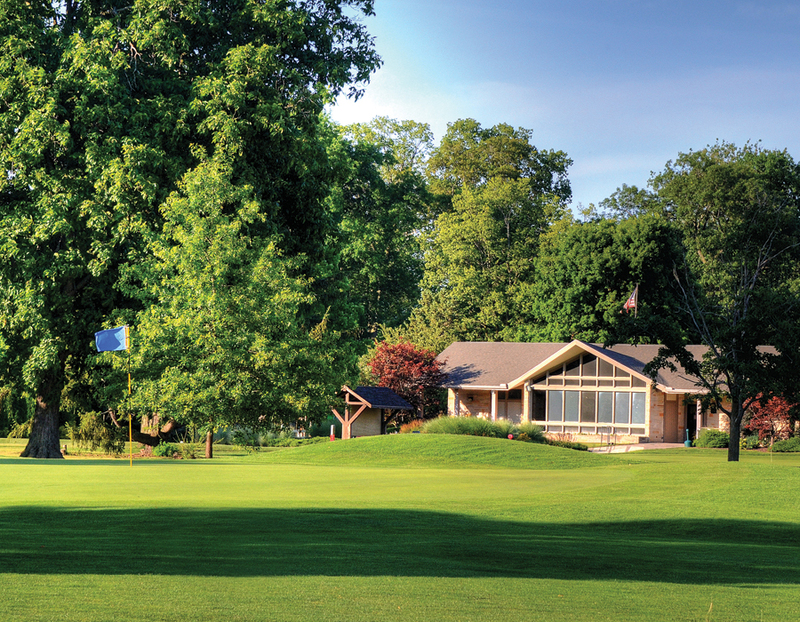 Northeast Indiana golf is more in a state of flux than hobbled by the forces of nature and a decline in rounds played. Even with challenges, there remain many dedicated players ready to grab their clubs and head to the links.